3 for $76.50 total Need more quantities? The pure white double flowers of this lovely Mock Orange are up to 2″ wide and have a sweet, citrus fragrance. Snow White Sensation® is useful as a specimen or backdrop for Roses. 'Snowwhite Fantasy' PP 13,774. The 65 species and countless hybrids of Philadelphus are undemanding, free flowering, and possessed of a sweet fragrance that perfumes entire sections of our gardens in early summer. Most Mock Oranges are erect growers, arching more or less with age. They like full sun, though they'll tolerate light shade, and well-drained soil. For more information on the growing and care of Philadelphus, click Growing Guide. This plant arrived potted, shipped and beautifully packed. We couldn't plant it immediately because of construction near our garden plans. But in a few days it began to actually bud inside! Carefully planted it and not even wilted. WWF is the best place to buy shipped plants. Can't wait see and smell this lovely addition. The hot papaya cone flower and the lily blanca lilies are doing well. LOVE THEM ALL ! These were tiny twigs when they arrived and still dormant but I planted them without any special effort - no amemdments or stimulators or potting soil, just plain dirt. They didn't get very big - maybe 18 inches tall so far - but even so they had a substantial number of very pretty white flowers and andlook quite healthy. The scent wasn't as strong as I expected but I think it might be better as the plants mature. I have to say that the only time I had an issue with White Foundlower I found getting through quite challenging but the issue was favorably resolved pretty quickly once I did. I ordered three of these plants in spring 2016. They didn't look like much when they arrived, but two out of the three are thriving - no small feat, considering I am in Zone 4 and these are a Zone 5. I didn't expect them to do much their first year, but the two that made it have clusters of beautiful blossoms and plenty of delicate, but healthy-looking new growth. 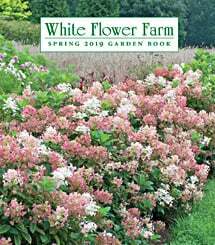 I purchased the Philadelphus Snow White Sensation in September of 2014. The most important reason that I bought it was for its scent as described in the ad. The shrub survived the winter and flowered during the summer of 2015 abundantly. However, the promise of the wonderful scent did not materialize. In fact, the scent was almost nonexistent, which was a big letdown. I would like to get a refund for this purchase, or at least credit on another order. If there is any way that I could return this shrub, I would do it gladly. I don't know what happened. I placed it in Miracle Grow, gave enough water, but it still died. Perhaps it was in the wrong zone? I don't know, it said it was OK for zone 8. Philadelphus flowers in June with a heady fragrance of orange blossoms that fills the air. Has upright growth that is arching near the top. CULTURE: Plant Mock Orange in full sun or part shade and average, well-drained garden soil. Space 6′ apart. Fertilize lightly, once a year only, in early spring, with any good organic fertilizer. Few insect or disease problems. GROWTH: Fast; 25″ or more a year under good growing conditions. SUGGESTED USE: Combine with Syringa for a fragrant shrubbery, in mixed borders or any fragrant garden. PRUNING: When plant matures, cut out at ground level a few of the oldest canes each year in late winter/early spring. To shape it cut back flowered shoots to strong buds, right after bloom.